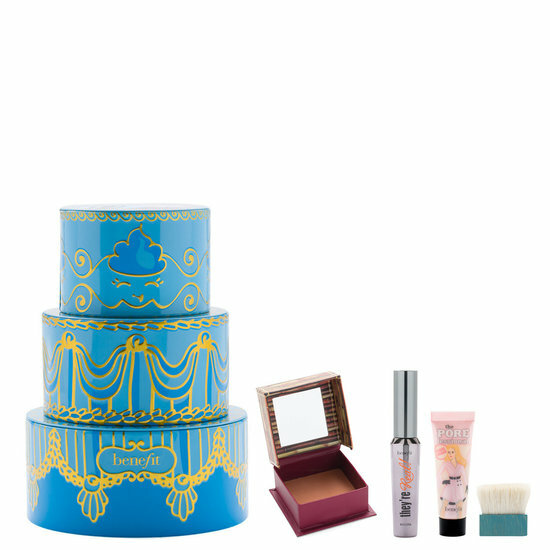 Satisfy your beauty cravings with this limited edition gift set from Benefit Cosmetics. Minimize pores and achieve a bright, radiant look with The POREfessional Pearl Primer. Warm up your complexion or add natural-looking definition with Hoola Matte Bronzer. Get unbelievably long lashes with the lengthening and curling They’re Real! Mascara. Starting from the center of your face, pat on an even layer of the POREfessional Pearl Primer. Sweep the Hoola Matte Bronzer across your cheekbones or in the hollows of your cheeks to contour. Brush They’re Real Mascara from the base of your lashes to the tips, wiggling the wand to eliminate clumps. Layer as desired. They're Real! Lengthening Mascara: Water, Paraffin, Polybutene, Styrene/Acrylates/Ammonium Methacrylate Copolymer, Beeswax, Bisdiglyceryl Polyacyladipate2, C1836 Acid Triglyceride, Palmitic Acid, Stearic Acid, Triethanolamine, VP/Eicosene Copolymer, Acacia Senegal Gum, Hydroxyethylcellulose, Phenoxyethanol, Tetrasodium EDTA, Butylene Glycol, Caprylyl Glycol, Tocopheryl Acetate, Sodium Laureth-12 Sulfate, Glycerin, Potassium Sorbate, Sericin, Calcium Chloride, Sodium Hyaluronate, Tilia Tomentosa Bud Extract, Citric Acid, BHT, Sorbic Acid. May Contain (+/-): Iron Oxides (Ci 77491, Ci 77492, Ci 77499), Ultramarines (Ci 77007), Chromium Oxide Greens (Ci 77288), Chromium Hydroxide Green (Ci 77289), Titanium Dioxide (Ci 77891). the POREfessional: pearl primer: Dimethicone, Cyclopentasiloxane, Dimethicone/Vinyl Dimethicone Crosspolymer, Isononyl Isononanoate, Dimethicone Crosspolymer, Isododecane, Silica, Polymethyl Methacrylate, Mica, Phenoxyethanol, Tocopheryl Acetate, Parfum (Fragrance), Tin Oxide, Limonene, Triethoxycaprylylsilane, Bht, Tocopherol. May Contain (+/-): Yellow 5, Yellow 5 Lake (Ci 19140), Blue 1 Lake (Ci 42090), Ultramarines (Ci 77007), Bismuth Oxychloride (Ci 77163), Iron Oxides (Ci 77491, Ci 77492, Ci 77499), Titanium Dioxide (Ci 77891). Hoola Matte Bronzer: Talc, Iron Oxides (Ci77491ci77492ci77499), Zinc Stearate, Ethylhexyl Palmitate, Titanium Dioxide (Ci77891), Dimethicone, Manganese Violet (Ci77742), Methylparaben, Sodium Dehydroacetate, Boron Nitride, Propylparaben, Butylparaben. 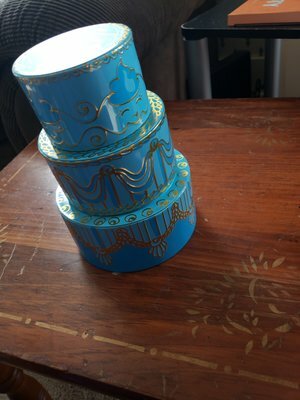 Meet The POREfessionals Mini Primer Trio!